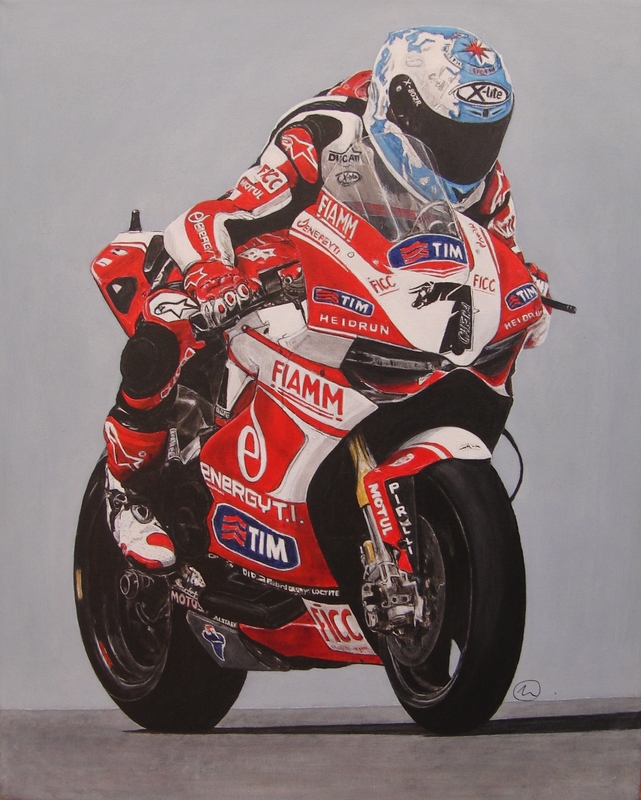 Here is the finished painting of Carlos Checa, 2011 World Superbike Champion, on this year’s Ducati Alstare. Thank you to Team Alstare for permission to use the original photograph taken by Kel Edge, Team Alstare photographer. This is really coming along nicely and it’s almost finished. Just to get the colours/shadows right and generally tidy it up. 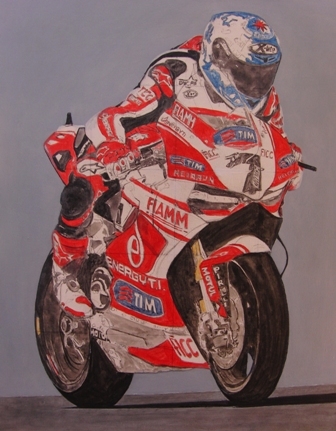 With the colour of the track almost there, I can now concentrate on the detailing of the bike and rider. The wheels also need a little adjustment, but otherwise really happy with how this is coming along. 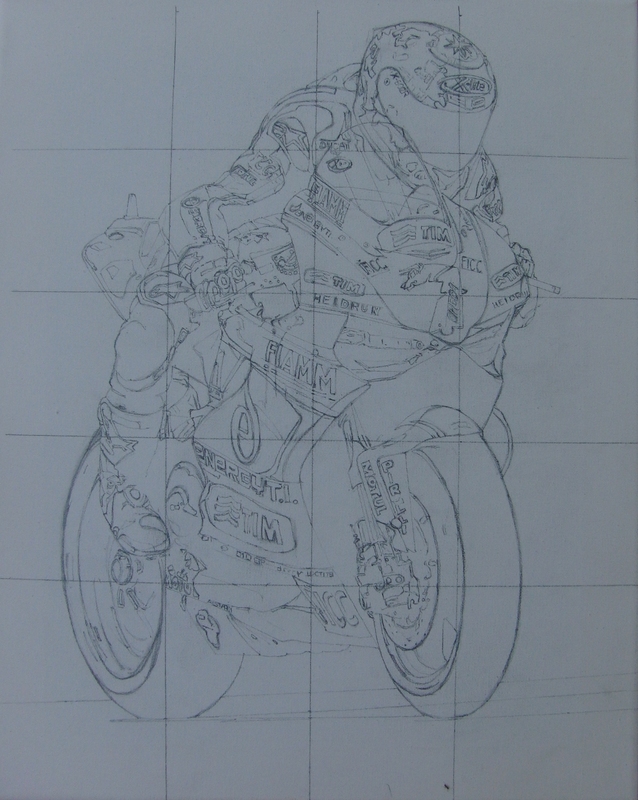 I am also starting to draw out my next painting – Ayrton Badovini. I have now added the first layer of paint and you can see how this is coming along. 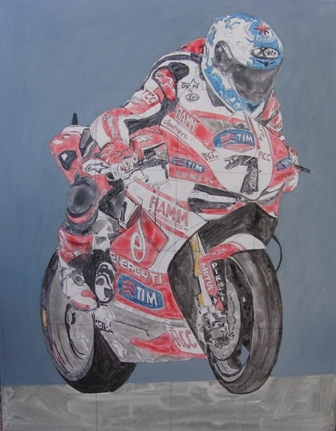 The next stage will be to finish the background, which needs to be lighter, so that the bike will ‘stand out’ more. 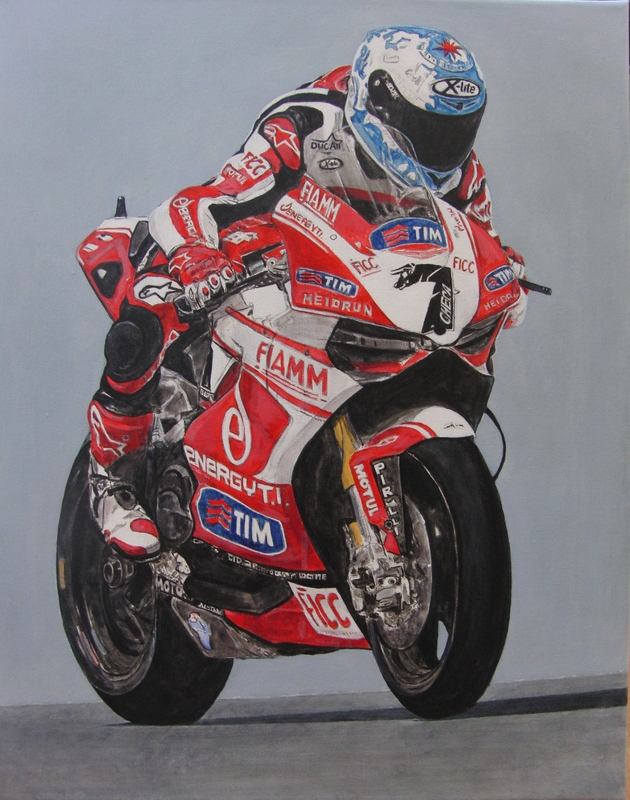 Here is the first progress picture of Carlos Checa, 2011 World Superbike Champion (and Spain’s only racer in this year’s championship). It has taken a while to draw out, but now I can put the first layer on for the background. A very big thank you to Team Alstare for permission to use the original photograph taken by Kel Edge, Team Alstare photographer.